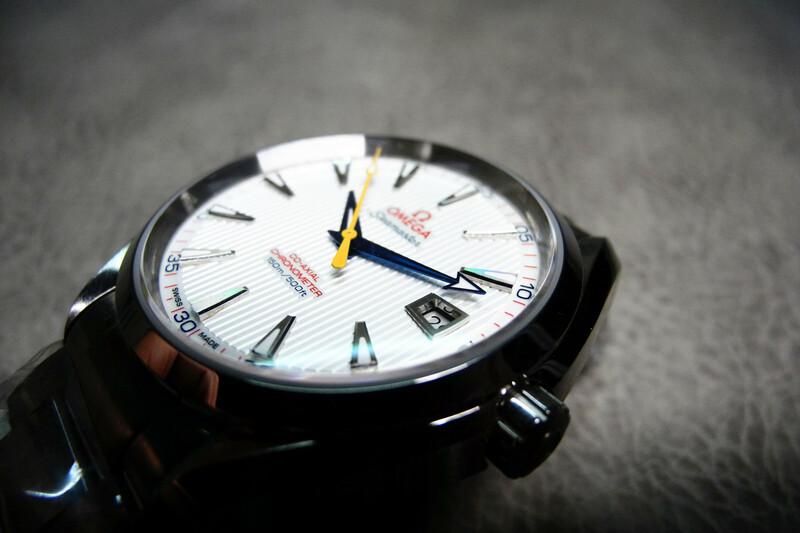 Aqua Terra 150M plays an important role in the development of Omega. 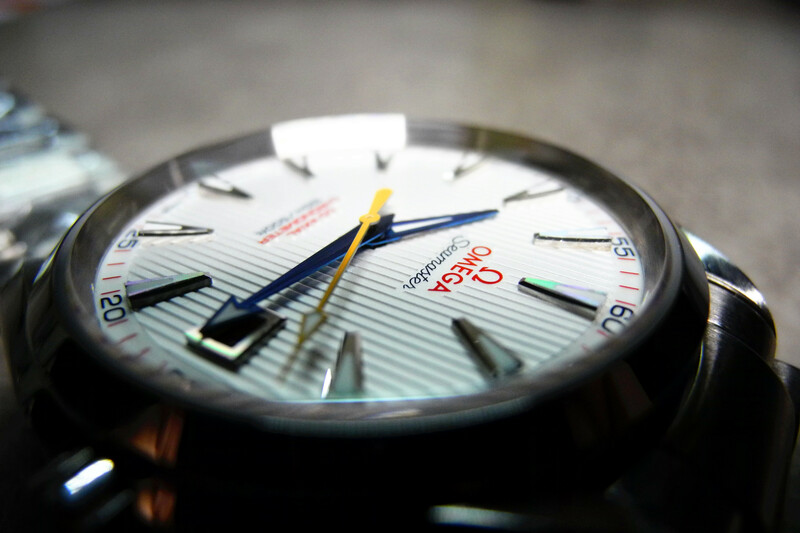 It has a lot of unique features, such as rich color design, 41.5mm case diameter that is larger than traditional casual watches, anti-magnetic, 150m water resistant. 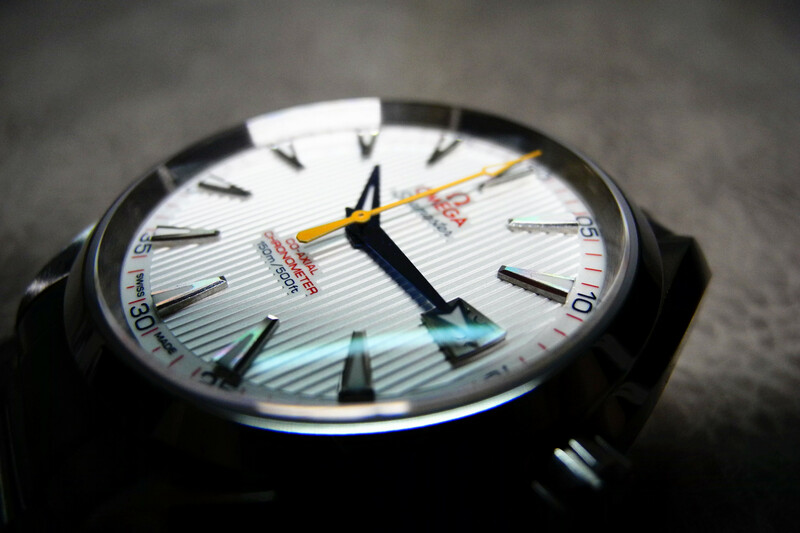 With these features, I think it is more like a diver’s watch just under a coating of dress watches, because it belong to Omega Seamaster series. Omega Aqua Terra 150M is the first replica watch whose movement uses modified plates, this also created a precedent for replica watch. The clone movement is not 100% perfect, but the movement polishing and its outside texture at the first glance are very good. After being released to the market for a long time, now it is sold at a considerable price. For people who want to find a cost-efficient high quality replica watch, this one is a good choice. When you got the watch on hand, you can feel its high quality texture, it is also a little heavy. My wirst is 16.5mm, I can wear a 38mm watch, the 47mm SevenFriday also suits me very well, so is this Omega. The crystal is very clear. 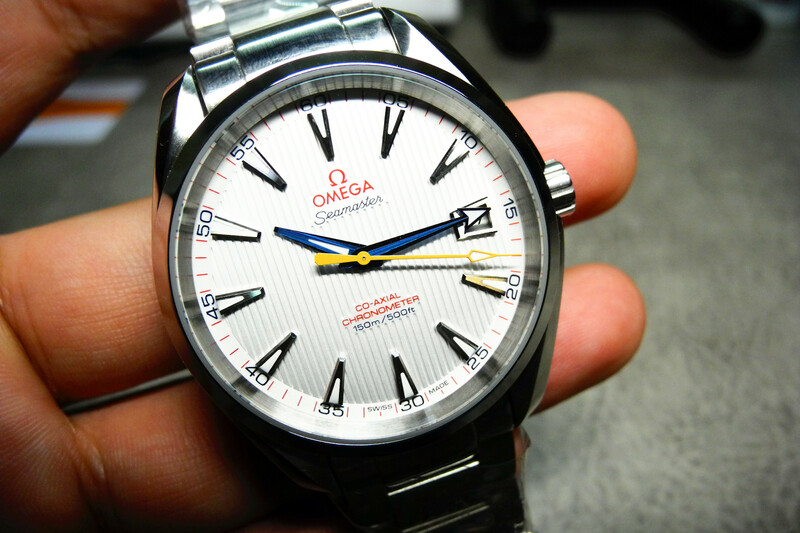 The crown is easy for you to distinguish whether this Omega replica watch is made by a big factory or a small factory. The base face of the crown is brushed, while the Omega Logo above is polished, besides, the side face around the crown is polished, the whole craftmanship of the crown is in a high level. Although genuine watch is better, it is really hard for a factory to achieve such a high replicating grade. The hands of this Omega watch have several colors alternatives, the most usual are silver and blue, there are also unique black and yellow bumblebee color as well as green. The hand uses drawing finishing, so do those hour markers. 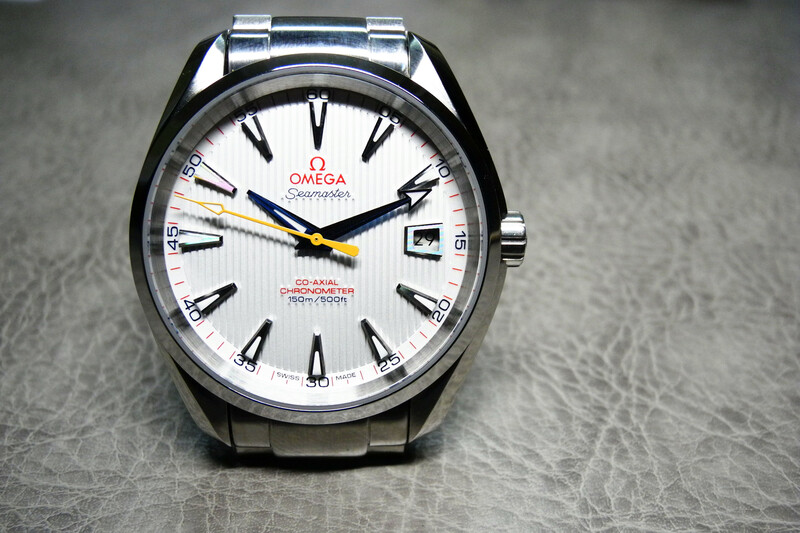 The factory did not uses baked blue design on the hand, because this Omega Aqua Terra 150M was an old model published a long time ago, and the factory was not attempted to release the future upgraded version, so, if you are in pursuit of perfection, I suggest you choose silver hand model. The bracelet is very good, it gives a high quality texture feeling, the gap between links is tight, not too loose, the drawing finishing on the bracelet is very delicate. 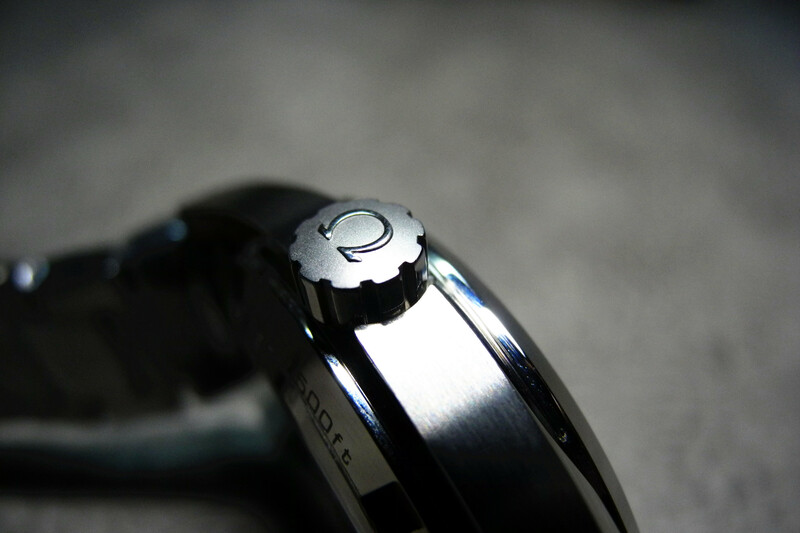 The Omega Logo on the clasp is deeply engraved, which gives a strong three-dimensional feeling. 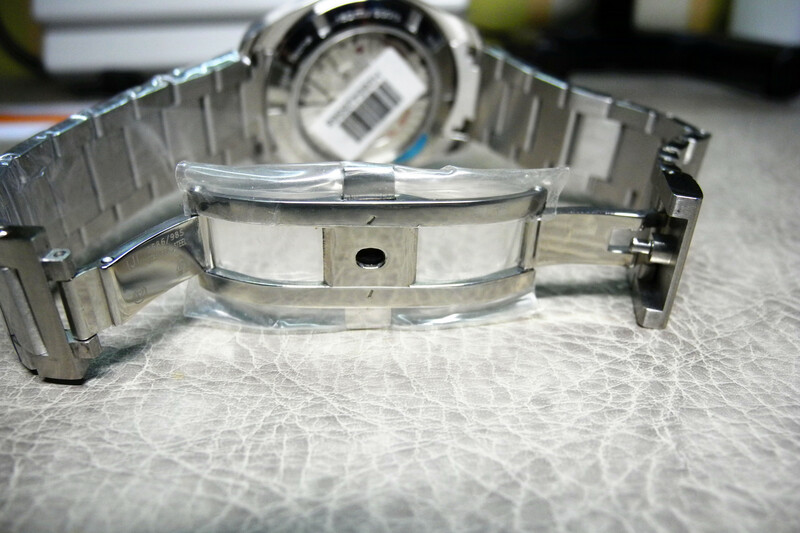 When you need to adjust the length of the bracelet, you have to lose the screws on each side, and then take the pin out. 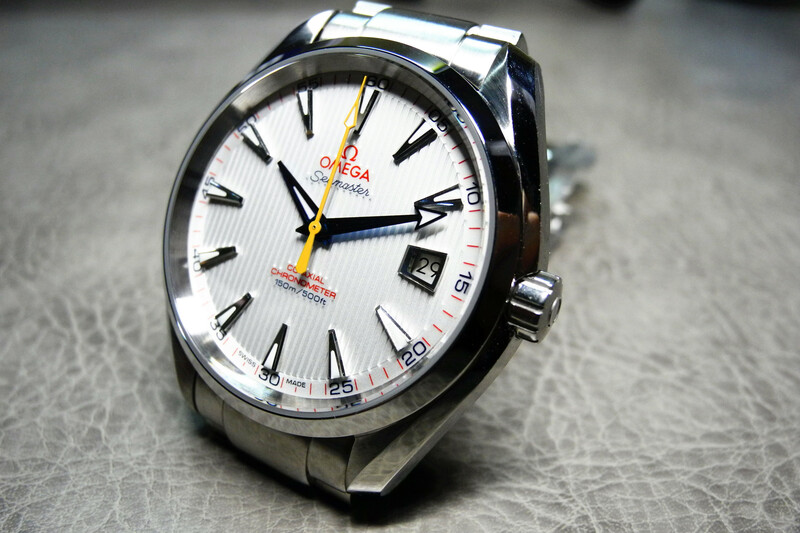 The Omega Aqua Terra 150M replica uses Miyota 8215 as base movement because the factory did some modification on its plates and auto rotor. If you would not compare the mvoement with a genuine Omega 8500 Caliber, then you will give a perfect score to this clone movement, because there is a big tell you can easily identify on this replica movement, that is the golden balance wheel, while genuine movement uses black silicon material on this part. However, among all replica watches, the ones that are equipped with Miyota 8215 movement have the lowest repair rate, that is the main reason why a lot of people prefer this replica. For most watch fans who want a very stable dress watch, this replica Omega is worth buying.